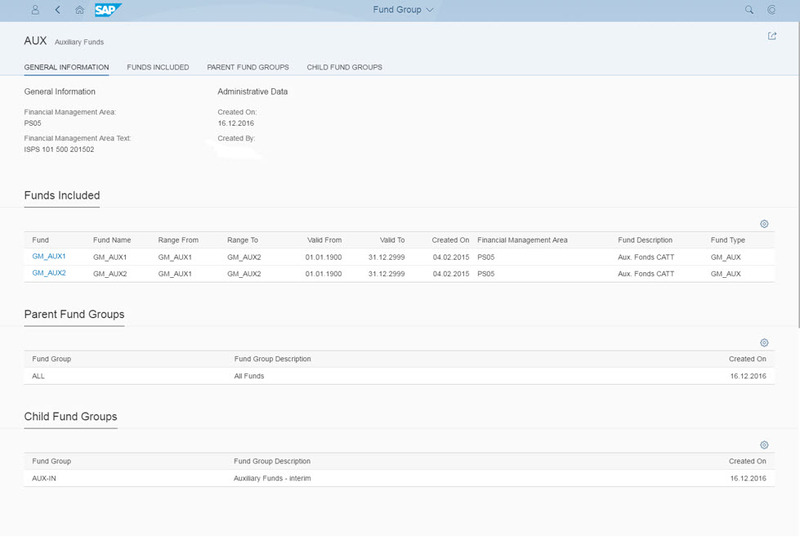 After having provided the first Fiori Applications for the role of the Budget Responsible in late October 2016, we now have shipped a round-off with SAP S/4HANA for Pulic Sector Management release 1610 FPS01 by providing Object Pages for Funds Management Master Data Groups and the Grantee Management Grant. With the Fund Group Object Page app you have a 360° view of all fund group master data objects and related budget, commitment and transactional data. The new Grant Object Page provides you with a detailed view of a grant master data object and the documents posted to it. 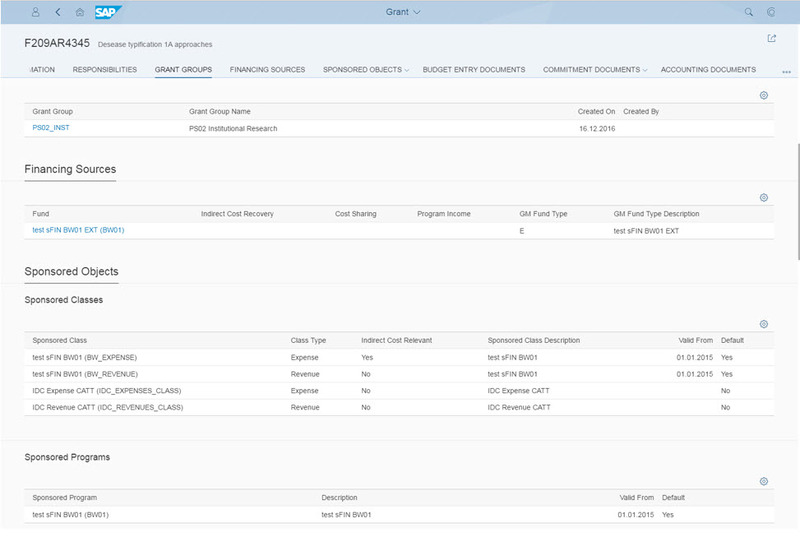 The now existing Fiori apps provide comprehensive and easy to use insight into all data relevant for a Budget Responsible. Check the learning material now or watch the video to get a first impression! 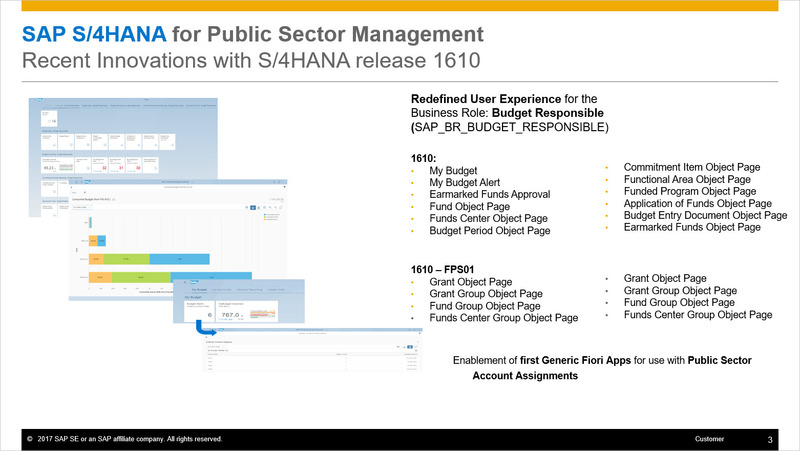 The simplified user experience for the business role of the Budget Specialist for Master Data Maintenance, Budget Maintenenance, Commitment Management and Deep Dive Analytics will be provided later this year with S/4HANA for Pulic Sector Management release 1709. In addition a Virtual Data Model will be provided to support Analytical Insight for Funds Management Operations.